When do you decide if blogging is just a hobby or you want to take it a step further? Towards the end of summer last year is when I noticed things were really picking up, my followers growing, and readers returning. This gives off a lovely feeling you know, and when you realise people are interested in what you have to say or what your wearing, it gives you even more gumption to carry on. The event invites start to trickle in and brands are starting to take notice. 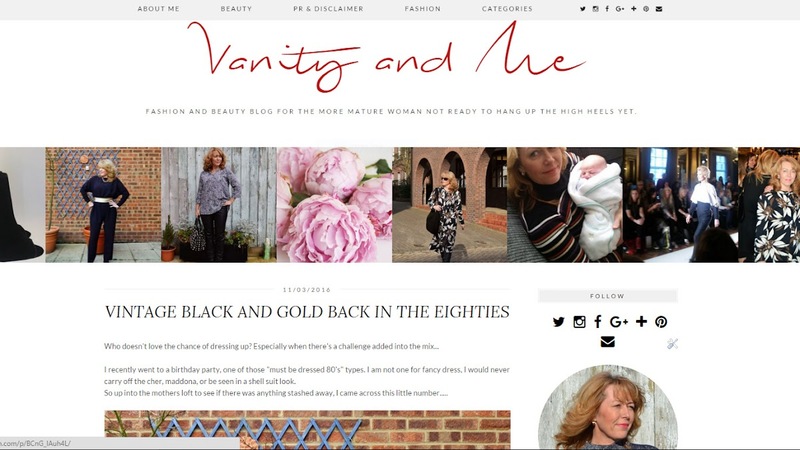 There really is a real big shift in the more mature blogger and the numbers of new mature fashion bloggers are growing fast. So I decided around christmas time that I would invest in a couple of things to help my little blog along….. When I went to a couple of events last year,one thing I had never thought of before cropped up. 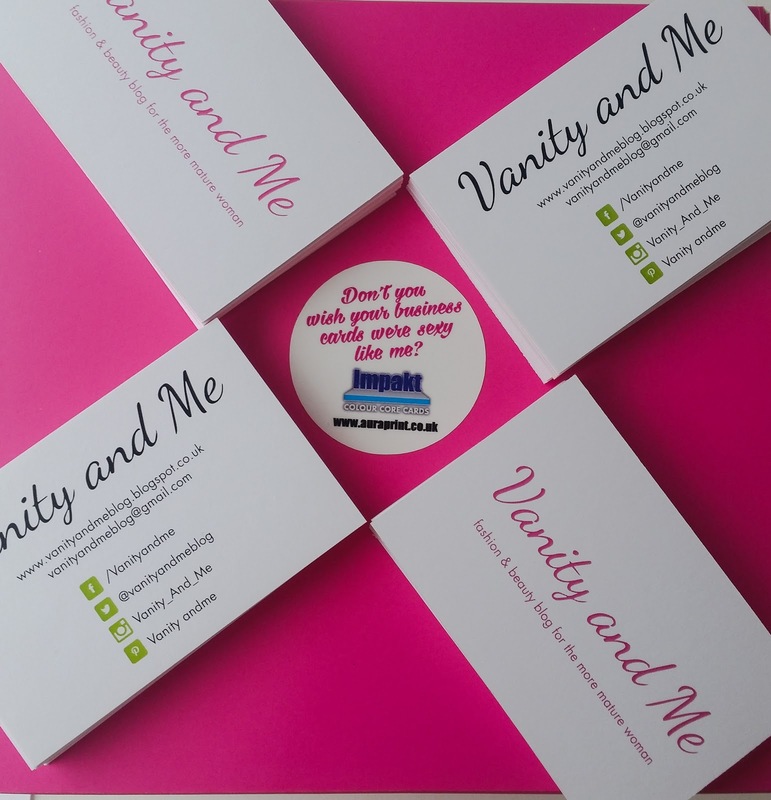 Every time I spoke to someone about their brand for information to relay to you my lovely readers ,I was asked for a business card. A BUSINESS CARD!!! Well I had never really thought cards before and I was proper kicking myself all the way home! Note to self BUSINESS CARDS!!! They arrived neatly packed and I was surprised how good the quality of the card was. It’s really thick and sturdy, not flimsy at all. I also loved the idea of them being double sided. So I had my blog name on the front and all my media site addresses on the back. They have so many fabulous colours available, you wont be disappointed. The next thing I decided to invest in was a new blog template. There are so many out there on the market, it’s difficult to choose the right design plus there’s the worry of things going wrong. Now the last template design I had was ok, although I did have a lot of problems with the page after it was installed, and this is what was putting me off going through all that palaver again. I still have a bit of editing to do on the categories front, but I will catch up with that. If your looking for a new template highly recommend you take a look at Pipdig. Now the next Item I have invested in is a new lens for my camera. I bought a Nikkor 50ml 1.4 lens which I fond on ebay. These lenses can be very expensive, so I just took my time until the price was right. I was looking at them just before Christmas and the prices were very high, but after Christmas the prices dropped a lot and I got lucky. Photography is something I’m finding hard to grasp! Anyone with some tips please give me a shout! I am really pleased with the lens, I just need to learn how to use it! So this is my next port of call, to learn better photography skills. So it looks like I’m here to stay in this blogging world, I couldn’t imagine not blogging any more. Would you say it’s addictive? I’m not really making any great funds yet, and maybe I wont. But the other opportunities and friends that I have made so far have really made me happy and put a spring in my step. Have you had any nightmares during your blogging time? what is it that you love about blogging most? I would love to hear. I can totally relate….I just bought a "real" camera and have been googling for days on how to get the blurry background pictures!! As for business cards, I do have some, but might need to update soon!! It looks like you caught the blogging virus. I think I got infected too. LOL. 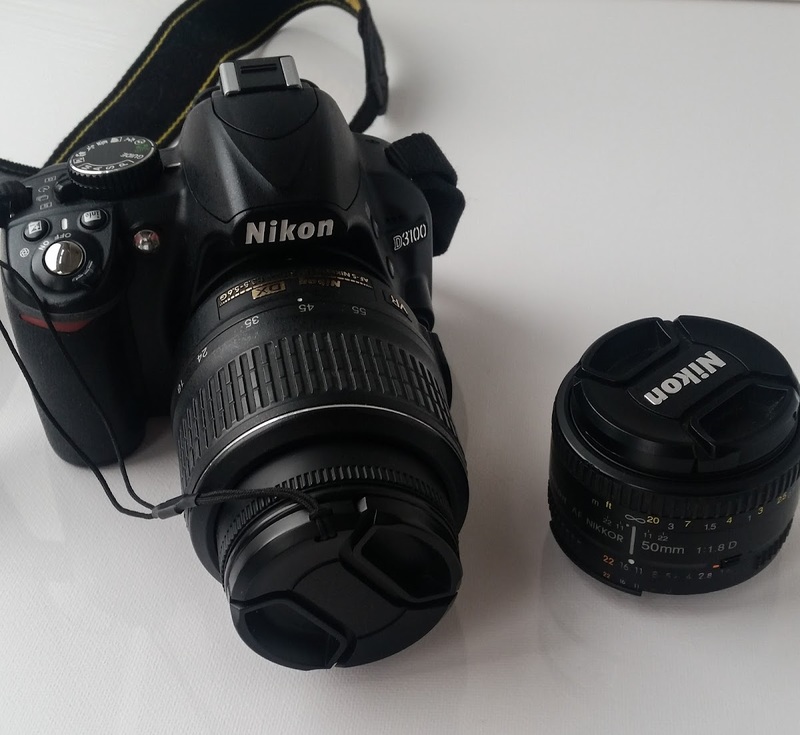 The lense I have bought is a 50ml 1.4 for my Nikon. I bought it after reading about how to get the Boke effect. However I need to learn how to make it happen now! Take a look on google for advise for whichever camera you have. I bought the lense on ebay.